March hasn’t really arrived with a lion’s roar as much as a friendly and pleasant meow. Now choosing to run right in the vein of things pleasant and surprising, is the brand new music video by indie folk band, Wylder. Premiering in the middle of last month, Wylder’s newest tune, “Swells,” now has a quirky visual narrative to go with its very happy-go-lucky hook –though the girl in this video probably isn’t feeling very happy nor very lucky, based on the crazy situations in which she seems to keep finding herself caught! Watch the video below and see! Wylder play off an amusing three-way contrast between the tone of “Swells'” melody, its lyrics, and now this third layer of acted out storytelling. It’s creative but, more than that, it’s a nice light note on which everyone can start their week. It’s hard to say much more without ruining all the surprises but after watching this video, it’s possible how one looks at a simple meal of spaghetti might never be the same again. 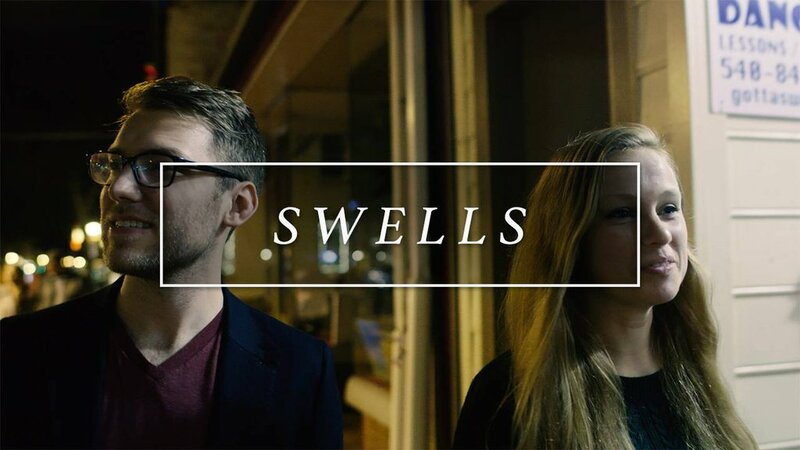 “Swells” is available now on iTunes and can be streamed through Bandcamp, SoundCloud, and Spotify. The music video was directed by Samuel Rodgers. Wylder are currently touring around the east coast, which includes a quick stop in New York City next month for the release of their full length debut, “Rain and Laura” at Rockwood Music Hall on 8 April 2016.